Patio tables are a cozy hub for great meals, celebratory gatherings and intimate conversations. Choose an outdoor table with the size, shape and style that best fits your backyard to create a stylish outdoor space for many seasons. Before you buy, know how much outdoor space you have. Measure it. A standard 36” x 72” rectangular table seats up to eight people comfortably, and if you have a larger outdoor area, or entertain on a regular basis, a larger 60-inch table seats up to ten. Make the most of small spaces, put a bistro table on your balcony or deck. If you love spending time out in the yard, put a garden table and chairs out there. • Dining Tables. Enjoy meals in the fresh air with dining tables that fit your family. Large patio dining tables can seat up to 16 people, while the smallest option, a patio bistro table seats two. A patio picnic table, a more casual choice, is great for a garden-side spot. 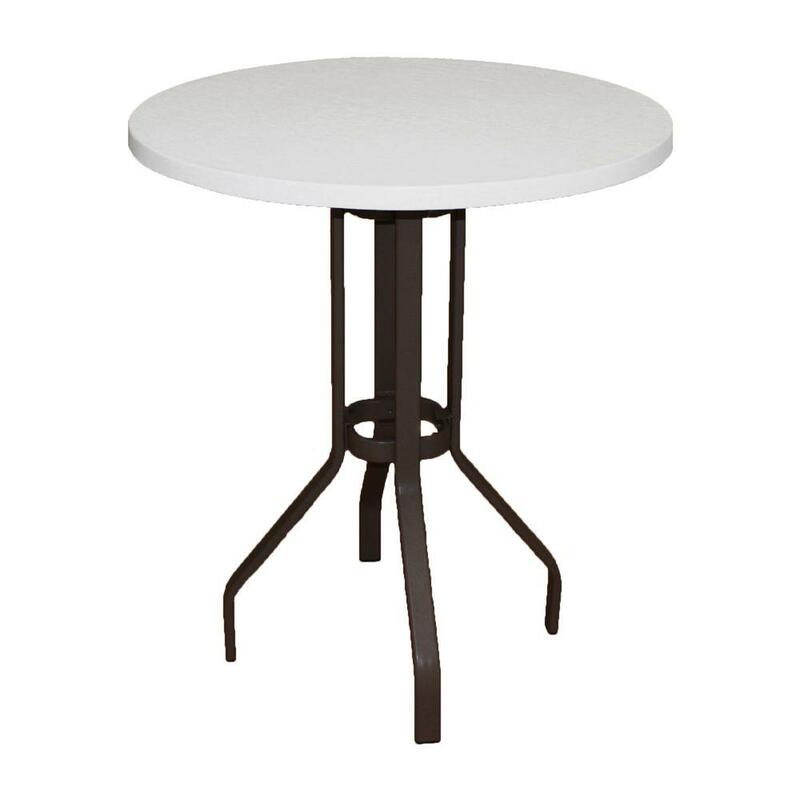 Keep the shape in mind, as well—a round patio table may need less room than a rectangular one. 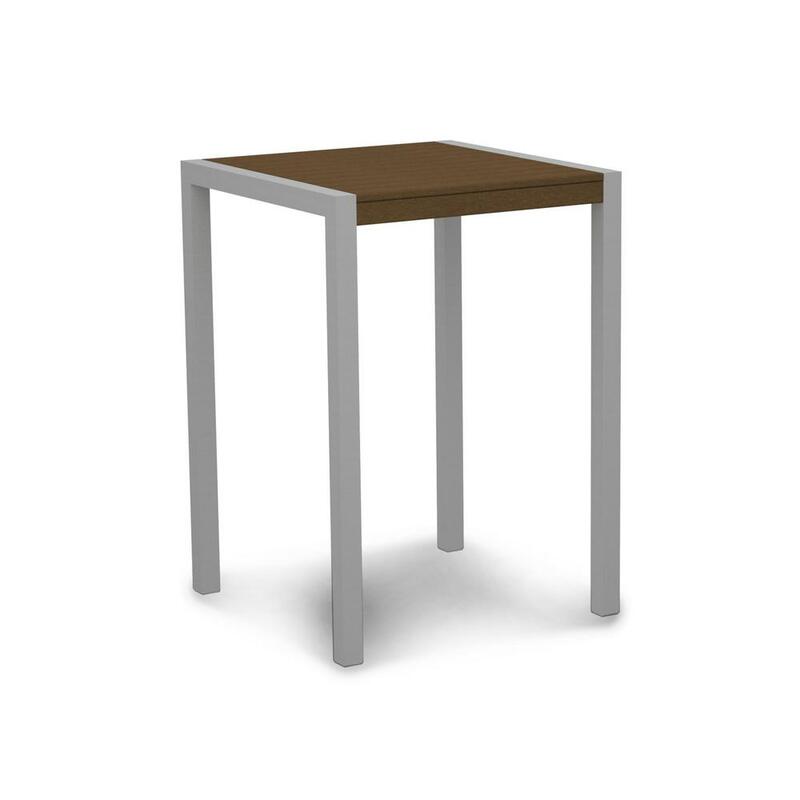 Select a patio table set that features a table and matching chairs to ensure a proper fit. • Coffee Tables. With today’s outdoor furniture styles, you can bring your living room outside. 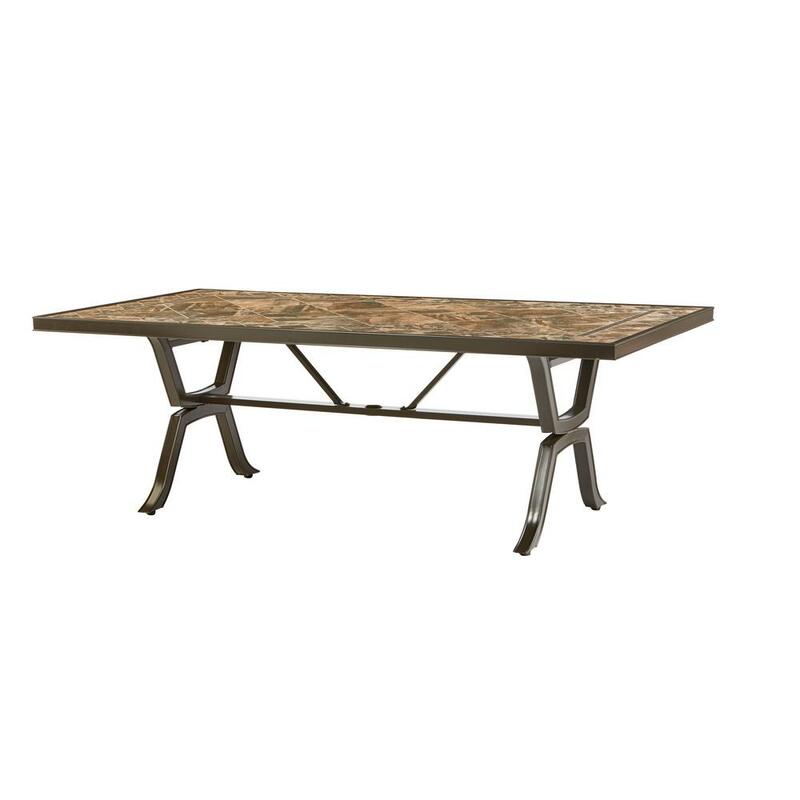 Complete your outdoor sofa or sectional with a patio coffee table, just as you would inside. • Side & Accent Tables. For a handy surface area in between two lounge chairs, choose patio side tables. Place them poolside to hold cold drinks or use them as a garden table for potted plants. For the ultimate on-trend patio design, consider a patio table with a fire pit. Afternoon gatherings in the sun will turn into cozy evenings by the fire. Choose a patio table in a material that suits your taste as well as your local climate. Wood patio tables are classic and durable. Teak weathers beautifully and can stand up to the elements, even after years of use. Acacia wood is visually striking, with a deep honey color and a strong grain. Cedar furniture resists insects, moisture and decay. For a low-maintenance option and even more resilience, choose a wood table that’s finished with a protective coating. 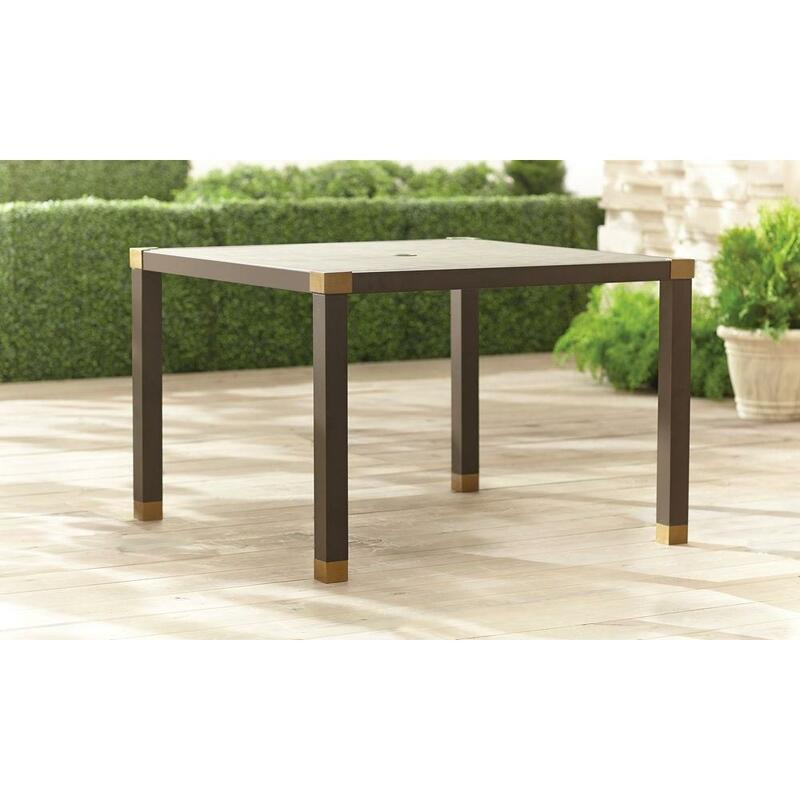 Metal or glass patio tables look elegant in a garden or more formal landscape. Plastic patio tables are lightweight and inexpensive, and they hold up well in humid, wet climates. Be sure to bring them inside before a storm, though, as they’re easily knocked over in high winds. When it comes to patio tables you have options. We put together some inspirational and fun patio ideas for every space and budget.